In 2003 Jason Phelps was diagnosed with cancer. The prognosis was great, but such an experience can still be life changing. Jason’s wife Margot asked him if he thought he might want to spend his time differently after cancer than he had been previously, which was working all the time. Jason decided he would like to learn how to brew his own beer at home, and quickly set about buying equipment and getting started. One thing quickly led to many others and soon there were carboys, bottles and boxes of beer, cider, wine and mead all over the house. Through sharing their delicious beverages with family, friends and a local home brewing club they joined, as well as travelling all over the United States exploring food and drink; Margot & Jason realized they had created something special. Quite a number of years went by until a vision for Ancient Fire as a business became clear and felt like it had good potential. 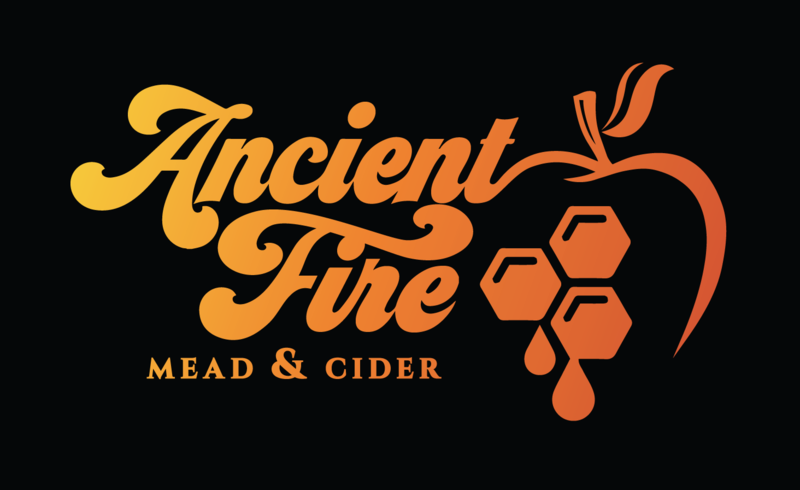 In early 2016 the project to launch Ancient Fire Mead & Cider was launched. Jason & Margot smiling while on a hike at Point Imperial along the North Rim of the Grand Canyon in September 2016. The husband and wife team of Jason and Margot Phelps bring over two decades (each) of business experience spanning many disciplines including customer service, business process improvement, project management, software development & technology enablement, team leadership and staffing management. Margot and Jason have made New Hampshire (NH) home since 2001, living in Londonderry and working both locally and as far away as Marlboro, MA. Jason Phelps has nearly 15 years of fermentation experience and has experimented with the production of a vast range of beer, wine, cider and mead styles during this time. Jason has been and is regularly featured as a guest on several craft beverage related podcasts including GotMead Live and the Tap Handle Show. Jason is regularly contacted by hobbyists and commercial producers for feedback and advice on fermentation protocols and other beverage production topics. Since beginning to enter amateur homebrew competitions in 2006 Jason’s creations have been awarded with over 120 medals, and more than 50 of those have been for mead and cider in just the last 5 years alone! Jason has also been a presenter at the annual WineMaker Magazine Conference three times, and has seen his writing and photography published by both WineMaker and Brew Your Own magazines, and a host of other online journals, blogs and print publications over the last decade. Jason regularly teaches course and hosts workshops on fermentation management, sensory analysis and production evaluation. Jason is a Certified Cider Professional, BJCP Certified Beer and Mead judge and is planning on attaining the Cider judge certification for cider in 2018. In his role as a judge Jason has provided feedback on both amateur and commercial products at competitions all over the country including: the National Homebrewers Competition, the International Mazer Cup, the Northeast Regional Homebrew Competition, the WineMaker Magazine International Wine Competition as well as numerous other regional and local competitions. In 2015 and 2016 Jason was the Judging Coordinator for the Mead Free or Die competition. Jason is also a 25-year veteran of the technology industry having recently retired to focus on Ancient Fire full time. Margot Phelps is a Project Management, Process and Operations professional with over 20 years of experience in various industries. Margot has leveraged her Masters Degree in Organizational Leadership to work with companies to implement organizational change, improve communication and streamline processes in an array of business areas including product management, operations, sales, accounting, regulatory compliance and marketing. In her current role as a Technical Program Manager at Dyn / Oracle. Margot is responsible for the program direction of the Internet Intelligence and Monitoring products. Working alongside Jason, Margot has over 10 years of fermentation experience, and continues to learn about the craft beverage industry and the production of world class products. Margot continues to develop her sensory analysis and evaluation skills, and is working towards attaining BJCP Mead Judge Certification. Over the last four years Margot has played an integral part in facilitating the administration of the Northeast Regional Homebrew Competition and has also acted as a steward and competition staff at a number of other local, regional and national homebrewing competition events. Recently Margot participated in her first competition judging, evaluating mead in the Mead Free or Die competition held in April 2017. Want to learn more about mead and cider? Check out our Education & Resources section You can also stay current with News & Events and Blog Posts on this site. Ancient Fire Mead & Cider is a proud member of both the American Mead Makers Association and the United States Association of Cider Makers.